This is the end my friend. But there are still 12+hours to go so let’s do it.Today you definitely should skip breakfast because you are going to attend one of Sevilla’s most lavish brunches at the Alfonso XIII hotel, but I will come to that in a minute. Before eating for almost three hours, a little walk wouldn’t hurt just to stimulate your appetite and by the way visit another very impressive sight: The Plaza España. Built for the Ibero-American exposition in 1929 in the Maria Luisa Park is one of those monuments that remind you that more was actually more, and there was a time before “la crisi” although it’s feels longer than 100 years. Now, after walking around and getting some nice pics you are finally ready for an all you can eat buffet at the best known hotel in town. Sure, with 50 Euros a person it’s not a steal but when have you had brunch with a live swing band playing in the background? Exactly! So stop the stinginess and treat yourself to something nice. 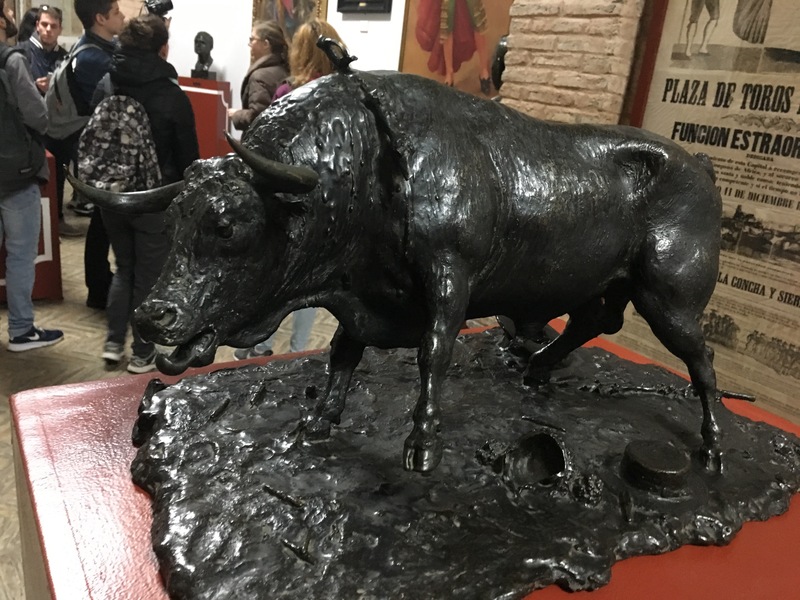 Drop by the Plaza de Toros de Sevilla for a quick history lesson. Sure, I get it, it’s a barbarian tradition which should be forbidden… and I am not saying that I am supporting it, but it is still a part of Spanish tradition and an impressive building. And since you are doing the traditional tour you will need to attend a Flamenco show. Sevilla offers hundreds of venues and shows and it is quite difficult to decide which one to visit. Let me help you out here: Book a private show (30 people max.) at the Museo del Baile Flamenco. They offer also larger shows which are 10 Euros cheaper, but you will have a more intimate and also acoustic show in the catacombs of the museum. An absolute must! Sadly we are getting now to the last stop of your weekend, but I still have one ace up my sleeve. Book your dinner at the restaurant Contenedor. A wonderful slow food restaurant where any dish from the venison tataki to the grilled sea bass was just outstanding. We were a party of five and had eight mains, I guess that’s all you need to know. 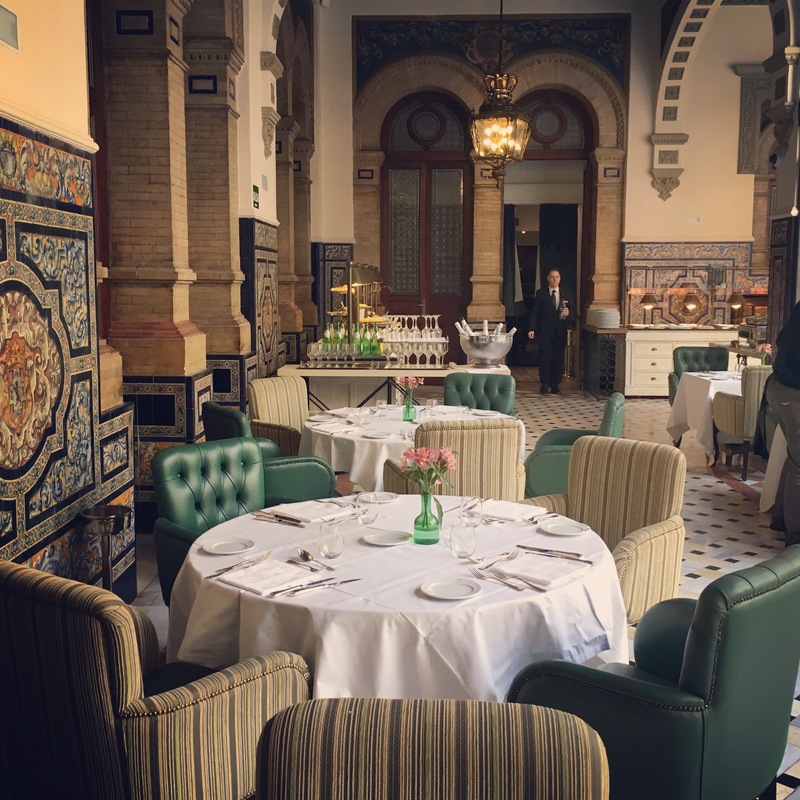 Posted in Home and tagged alfonso 13, andalucia, brunch, chef, citytrip, españa, hotel, plaza españa, restaurant, sevilla, swissblogger, tinto, toros, Travel, travelblog, wanderlust, weekendtrip, wine. Bookmark the permalink.